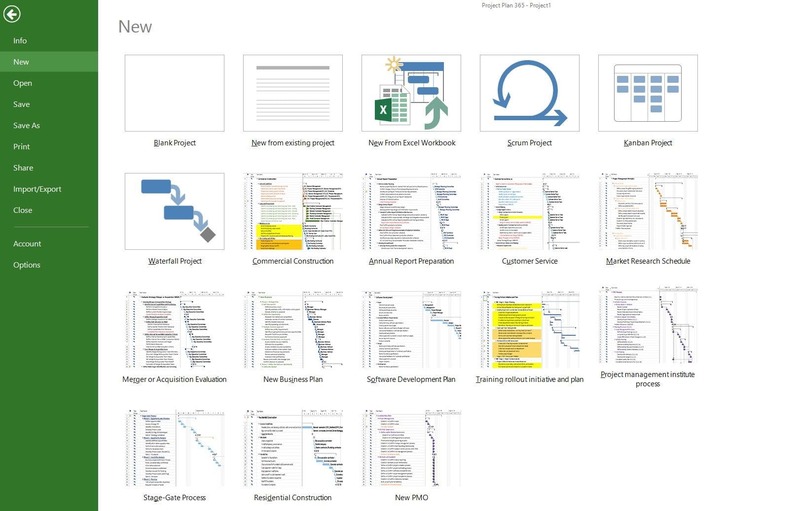 A project template is a predefined project available in Project Plan 365 that allows to create and configure new projects based on an existing example. What changes am I allowed to make to the templates? You can change the templates we offer in order to reflect the specific needs of your project. You have the ability to add or remove tasks, to customize text and bar styles, add or remove resources, modify the project calendars, add columns to the views in order to see more information. Can I use the templates for my own projects? We believe that our templates are applicable to projects of any size or type and for any industry. However, we cannot guarantee that they will be suitable for every type of project. You may use the templates as a starting point for your projects and use the functionalities our apps provide in order to improve them according to your needs. Can you provide me some ideas for a construction plan? We have a Commercial Construction Template. To access it click File - New - Commercial Construction. Can you provide me some ideas for an annual report plan? We have an Annual Report Preparation Template. To access it click File - New - Annual Report Preparation. Can you provide me some ideas on how to create a Customer Service plan? We have a Customer Service Template. To access it click File - New - Customer Service. Can you provide me some ideas on how to create a marker research plan? We have a Market Research Schedule Template. To access it click File - New - Market Research Schedule. Can you provide me some information on how to create an evaluation plan? We have a Merger or Acquisition Evaluation Template. To access it click File - New - Merger or Acquisition Evaluation. Can you provide me some information on how to create a business plan? We have a Business Plan Template. To access it click File - New - New Business Plan. Can you provide me some information on how to create a software development plan? We have a Software Development Template. To access it click File - New - Software Development Plan. How do I create a project based on a template? To access a project template, click File - New. In the preview dialog select any template you see fit for your needs. 3. In the preview dialog select any template file.